It’s all about the experience. 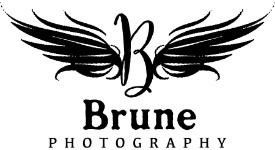 And here at Brune Photography, we thrive on making your experience one-of-a-kind… just like you! Brune Photography clients typically invest $500-$3000 or more in their custom portraiture. Collections and products are purchased independent of the creative fee. The creative fee is $149 and covers time, talent and investment of the photographer. Collections begin at $350. Due to the nature of our work, all creative and print/product fees are non-refundable.